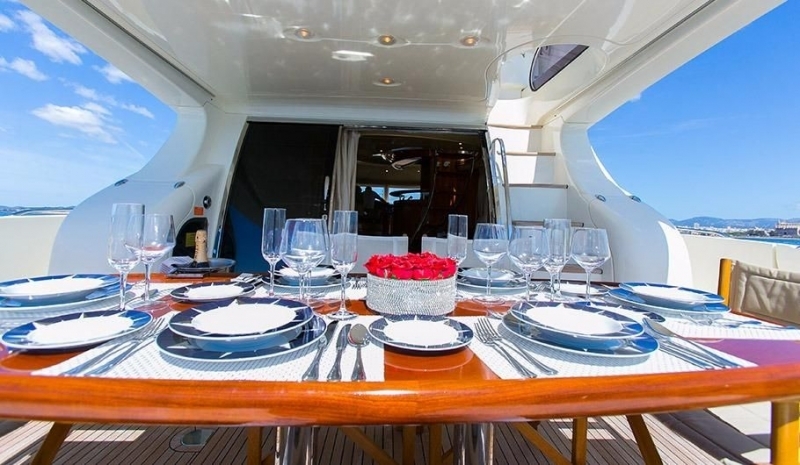 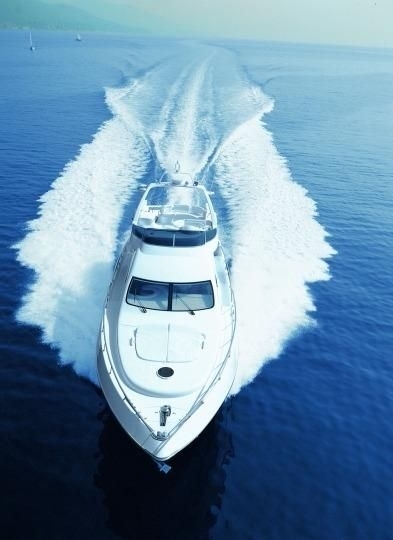 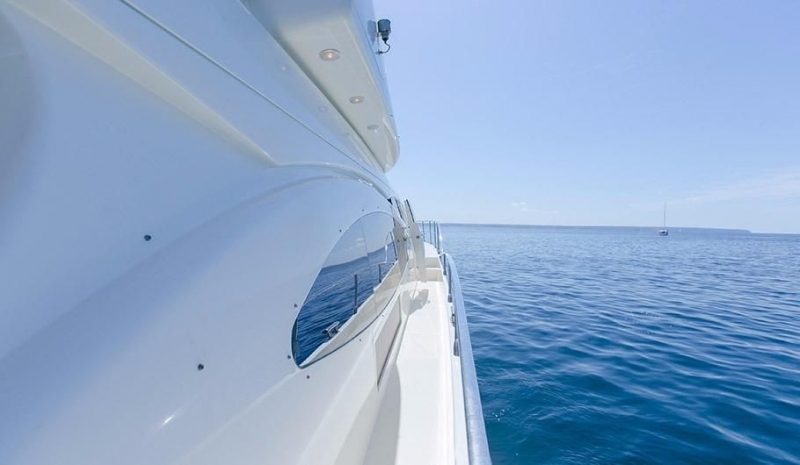 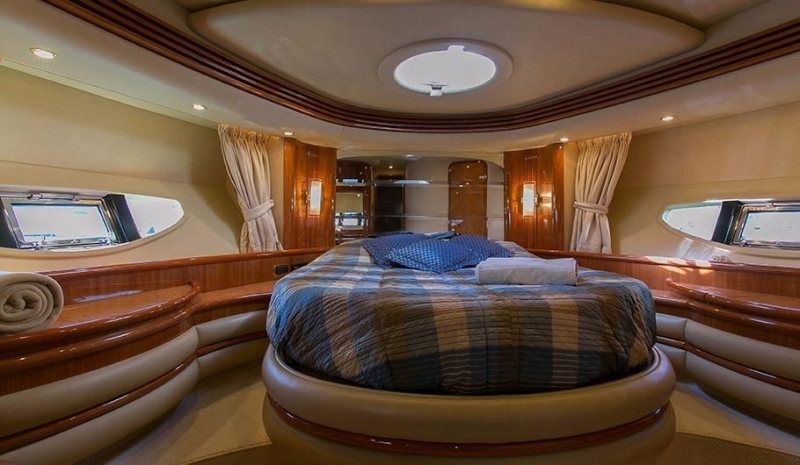 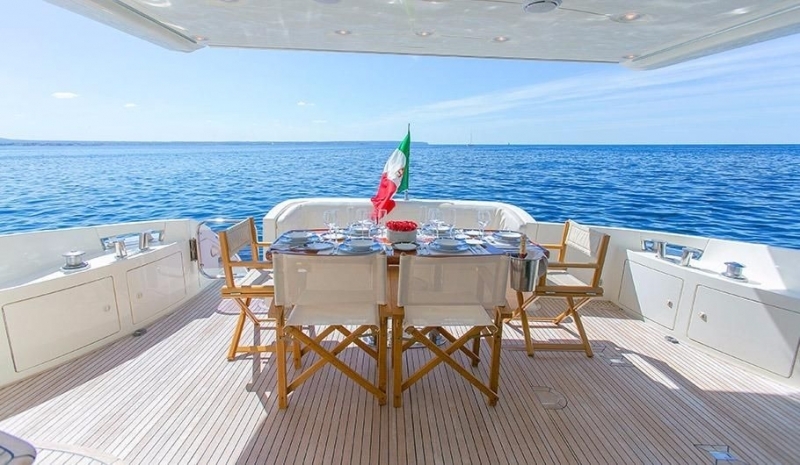 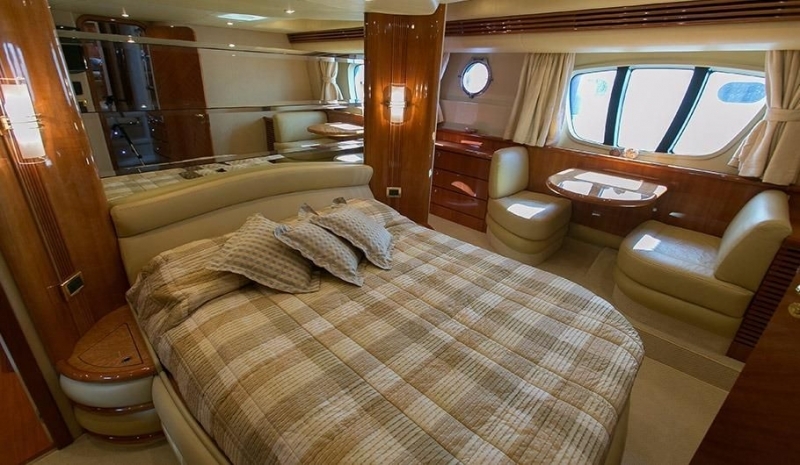 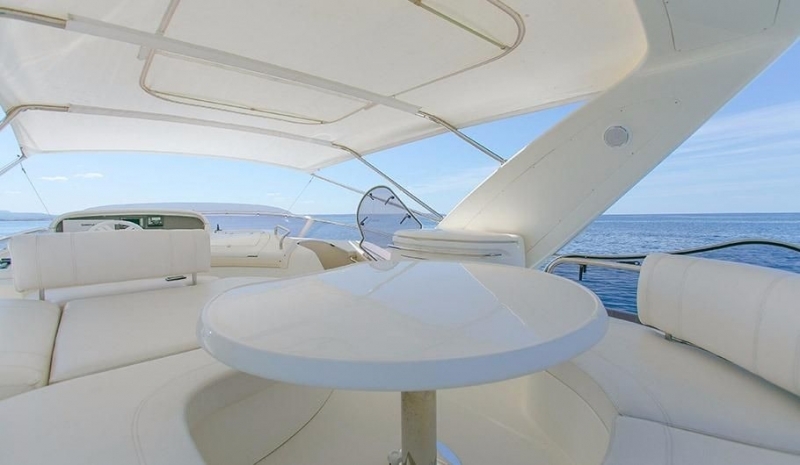 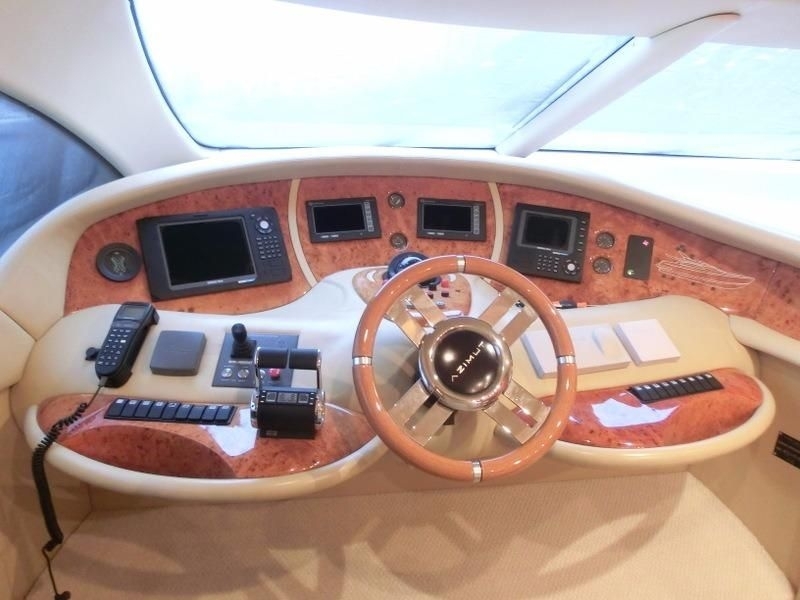 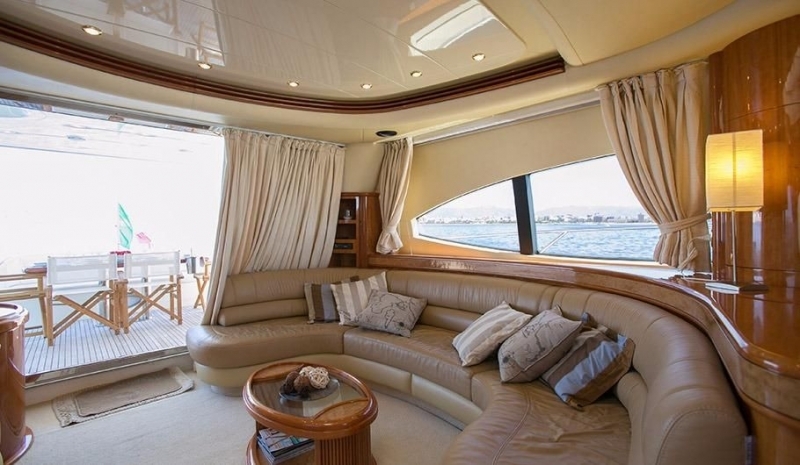 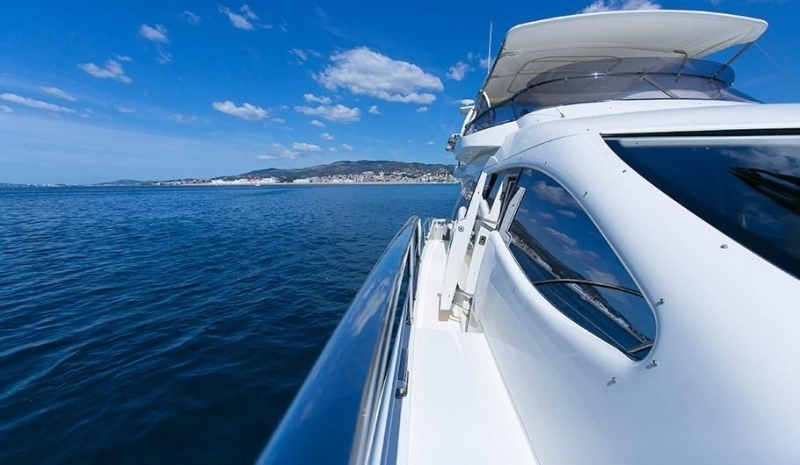 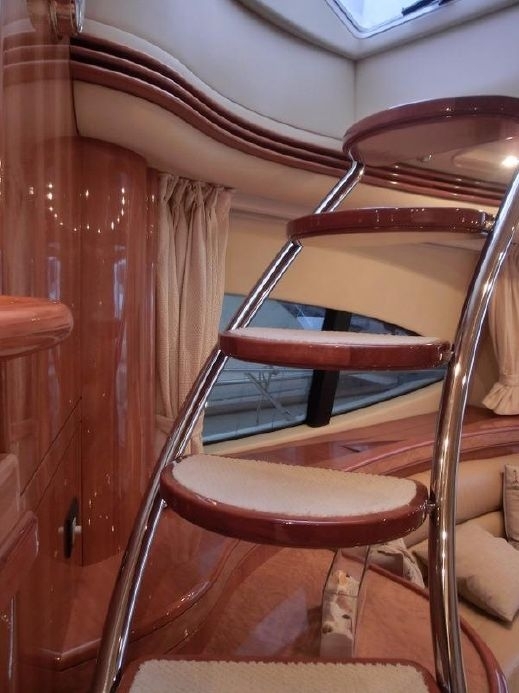 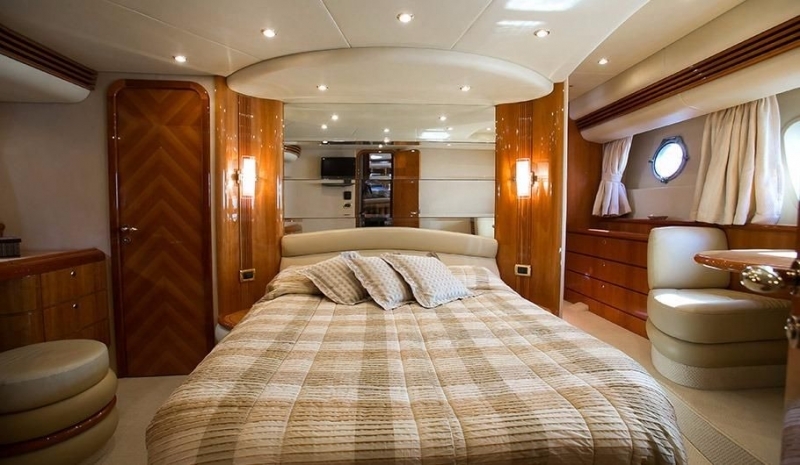 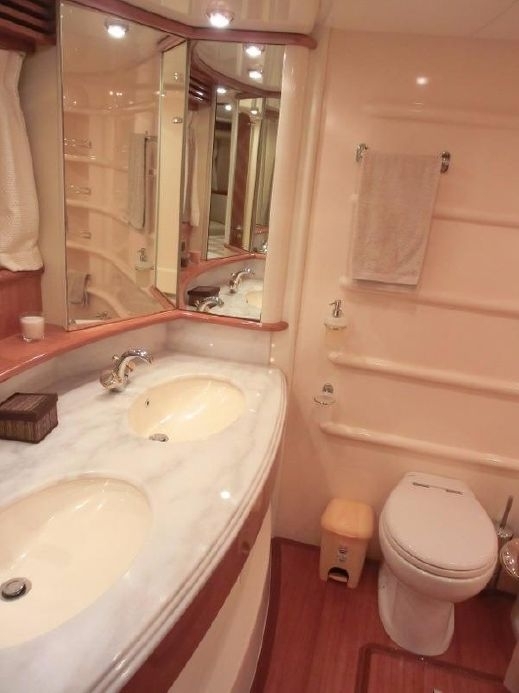 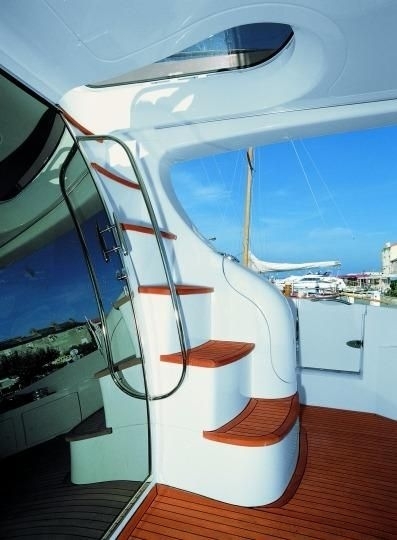 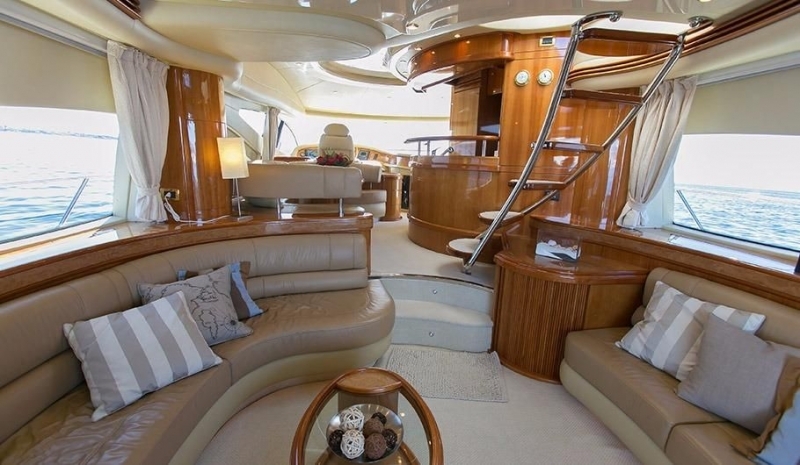 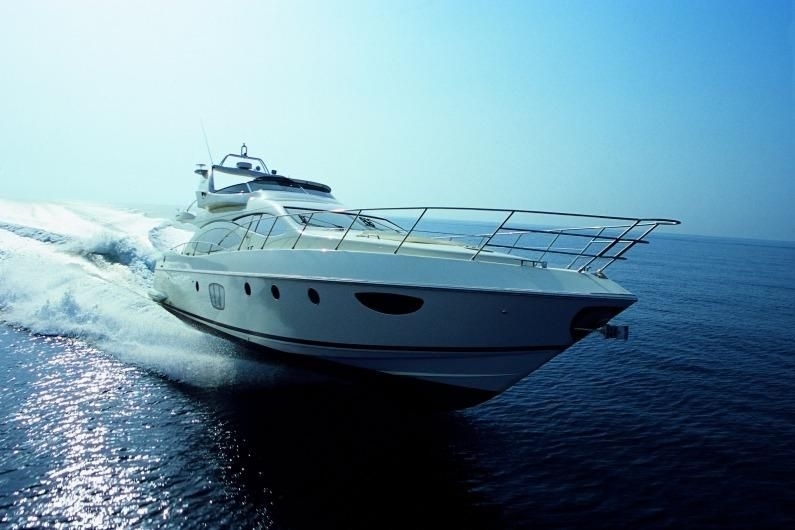 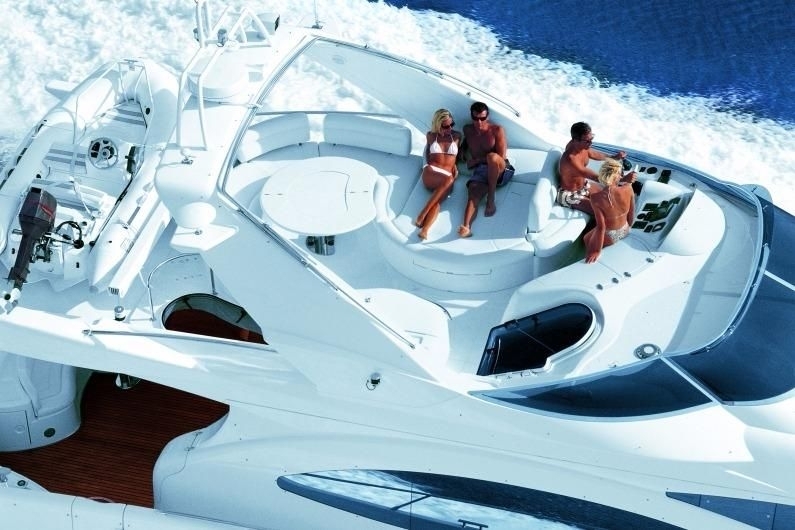 This fantasti Motor Yacht offers elegance, comfort and space. 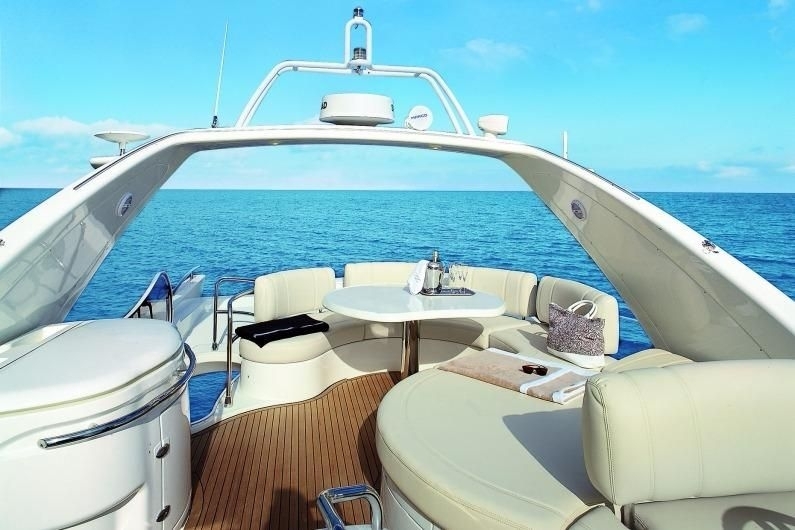 Launched in 2008, the motor yacht is an Azimut 68 Evolution that is the latest upgrade of the highly popular model, the 68 plus, featuring all the elements and finely tuned modifications thought to be lacking in her older sister. 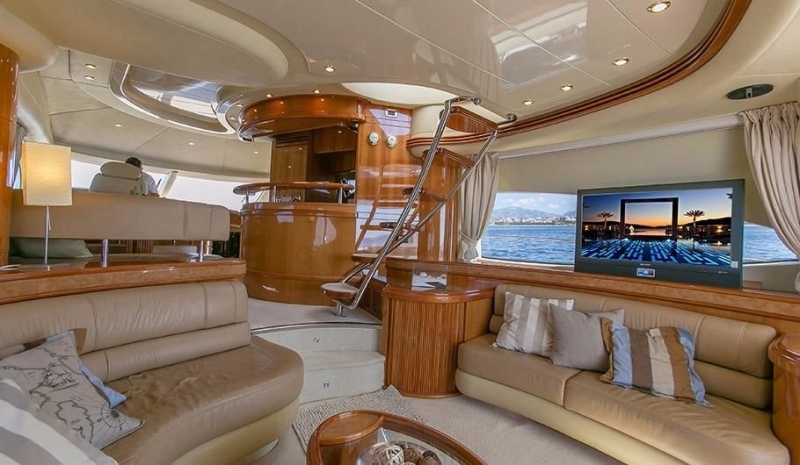 With butterfly shaped widows in the owner’s suite and new horizontal windows with a middle section that opens in the VIP cabin, as well as a new stern design. 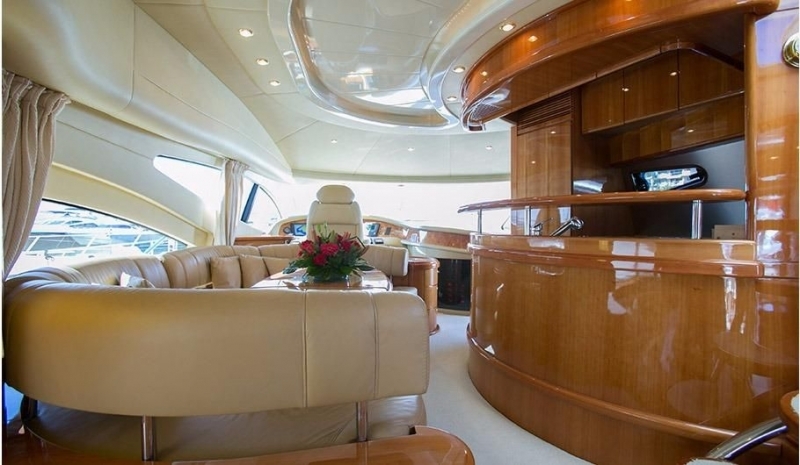 Has an interior featuring a tasteful mix of cherry wood, steel and leather. 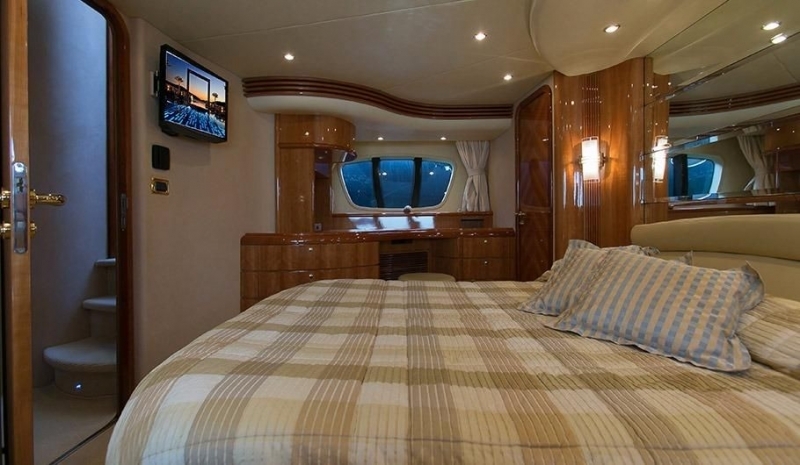 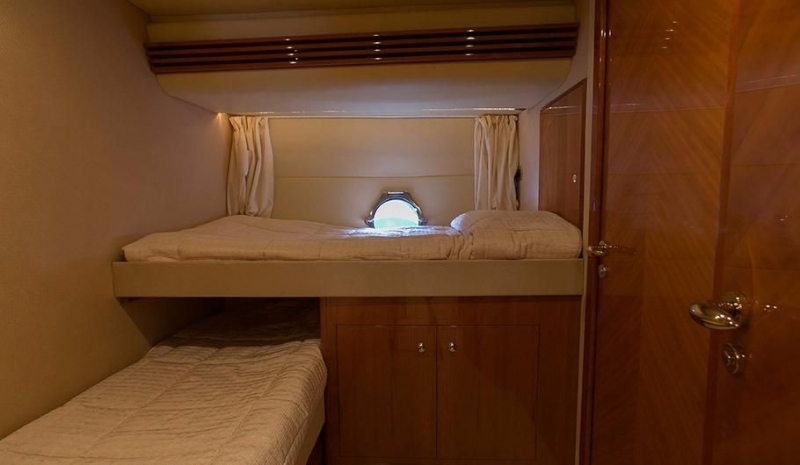 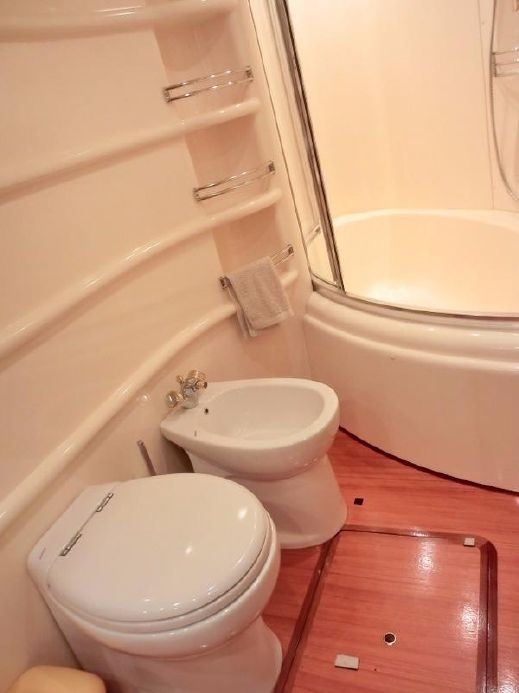 She is able to accommodate 8 guests in 4 cabins including a full beam Master cabin located amidships, a Full-width VIP cabin located forward and 2 twin cabins all fully air conditioned and with their own ensuite facilities. 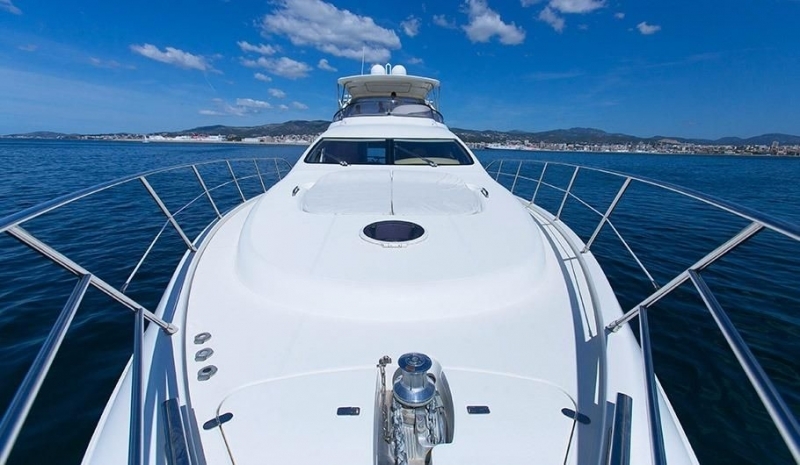 This lovely cruiser is quietly capable of speeds from 26-31 knots thanks to her MAN U12-1360 2000 Kw Engine power making her fantastic for a thrilling cruise. 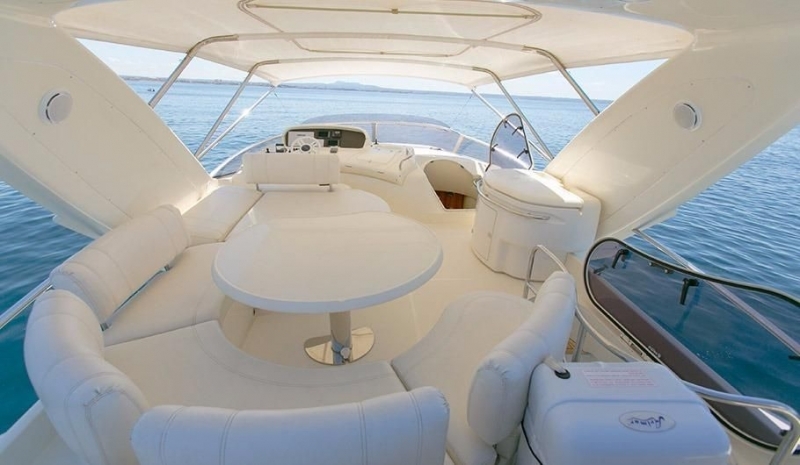 This stylish yacht offers complete attention to detail including sundecks, bathing platform and alfresco dining space. 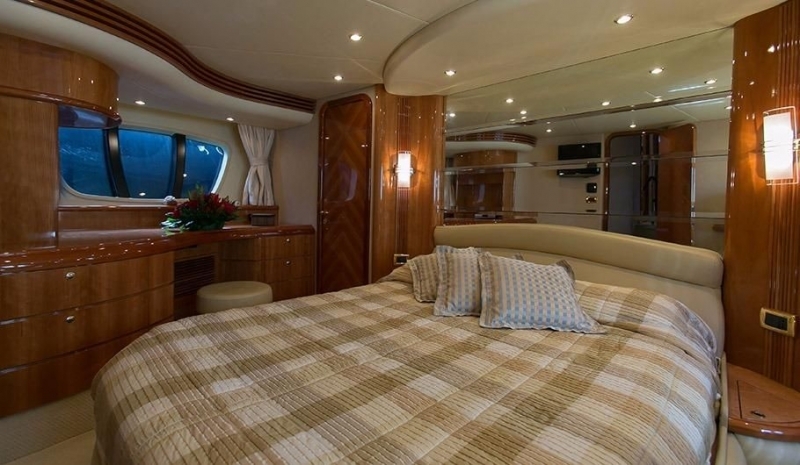 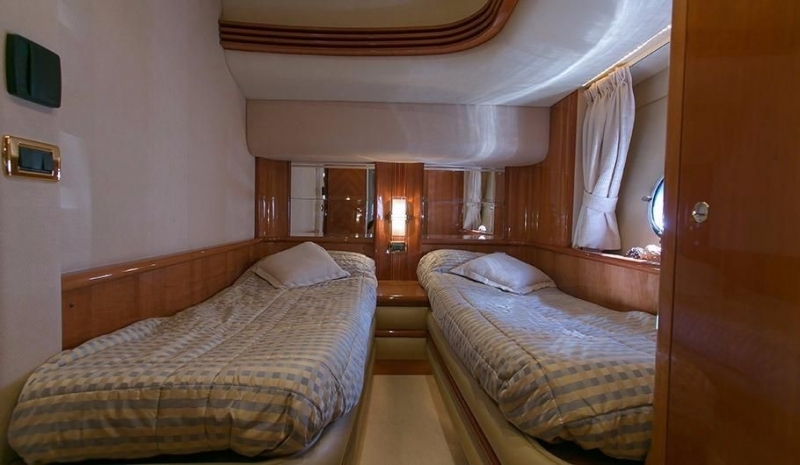 The Azimut motor yacht is able to accommodate up to 8 guests in 4 cabins including a Master Cabin with Walk-in wardrobe and marble ensuite bathroom, a VIP Cabin Walk-in wardrobe and marble ensuite bathroom, a twin cabin with En-suite bathroom/shower room and a bunk cabin with en suite bathroom/shower room which is more suitable for children.